Have you ever thought that you need more business knowledge? Are you considering an MBA so that you can move into the administrative or corporate world? I have thought about it for years. My guest on this episode is Dr. Joseph Kim, MD, MBA. He has served as faculty for the American Association for Physician Leadership (formerly known as the American College of Physician Executives). He has written articles for the Physician Leadership Journal (formerly known as the Physician Executive Journal). He has spoken to physician groups about the value of the MBA for healthcare professionals. Listen to this episode before you spend thousands to hundreds of thousands of dollars to get another degree. I used to think it was vital for physicians to get the MBA degree, but now with all the options for learning out there, the knowledge can be obtained without the expense. Dr Kim is right that the networking the MBA may offer is key, however most people going back for executive MBAs are not getting the same networking benefits that those who attend full time are going to get. I also have seen that many hospital executives that earned a management degree have not gone to high level programs and yet they have worked their way up, so I don’t think you need to spend a lot of money to get a brand name diploma unless you want to work on wall street or at a major corporation. 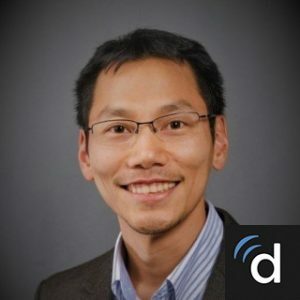 If you are interested in learning more about Dr. Kim and his company the website is www.drjosephkim.com. His other websites include www.nonclinicaljobs.com and his most recent company Q synthesis a healthcare education and implementation company.